Based out of Anne Arundel County, HoganLax has been showcasing high quality boy’s lacrosse tournaments since its birth in 2002 throughout the state of Maryland, a local hotspot for lacrosse. Throughout the year, HoganLax has approximately 800 teams attend their events with over 17,000 players and roughly 40,000 family members nationally and internationally, but it was not always a walk in the park for CEO and Founder Matt Hogan. Hogan wanted to run lacrosse events in Anne Arundel County and its surrounding areas after his move back to Maryland’s capital in the summer of 2002, but fields were very tough to come by. He looked for fields for years, looking to the Eastern Shore as well, until he was finally called to the Recreation and Parks Offices with field access to run Summer Exposure, a marquee tournament for HoganLax. That year, Summer Exposure hosted only eight teams, but has grown to over 250 teams annually. 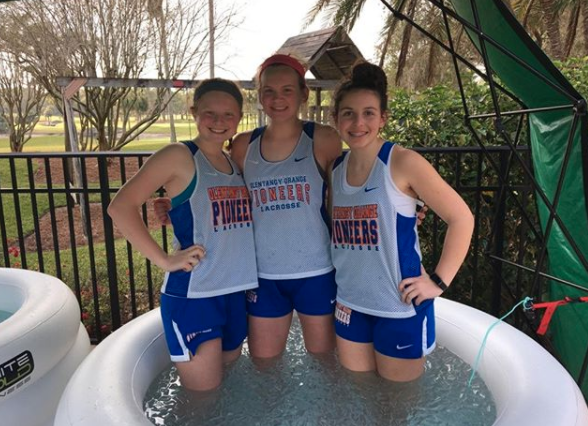 HoganLax’s niche started with high school and club level competition, later adding the Bay Bridge Brawl tournament, an event on the Eastern Shore that focused on youth competition on Friday and the high school teams on Saturday. The combination of youth and high school competition me the standards of Hogan’s success. Hogan’s measures to event success created a high level of retention, with attendance from 20 different states as well as two countries represented annually. With this amount of national recognition, Hogan realized the need for a club team in the area, creating the Annapolis Hawks. The Annapolis Hawks started with only two teams and now have 13 teams as well as offering team training to their players as well as girls lacrosse teams in Florida, creating a unique opportunity for all. To learn more about HoganLax and their tournaments, please visit their website for more information.